Eric Post Uiterweer of Autobedrijf Post Uiterweer and yours truly just picked up a forlorn 2002 4.0 litre Tuscan (CAT C, new factory chassis - probably one of the last - bodywork repaired but with service bonnet and bootlid still in raw GRP, hasn't been on the road since 2008) for a ground up rebuild. 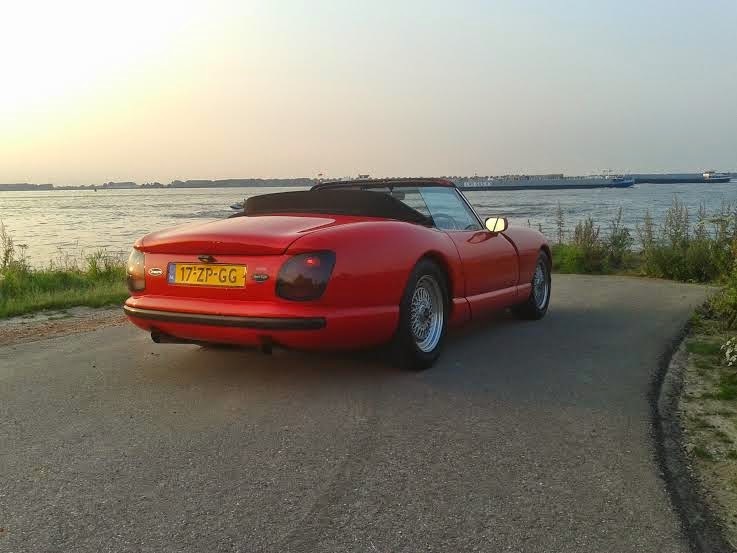 As with the Chimaera, we'll be developing it into a superb road sports car first and foremost, as apt at long European tours as exciting for letting the inner hooligan out on an empty, twisting road on a Sunday morning. Stay tuned as we document every single step of the rebirth here! To us, handling balance takes priority over outright grip and a finely tuned engine response, where you can call on every single horsepower almost one by one, over outright power and torque. 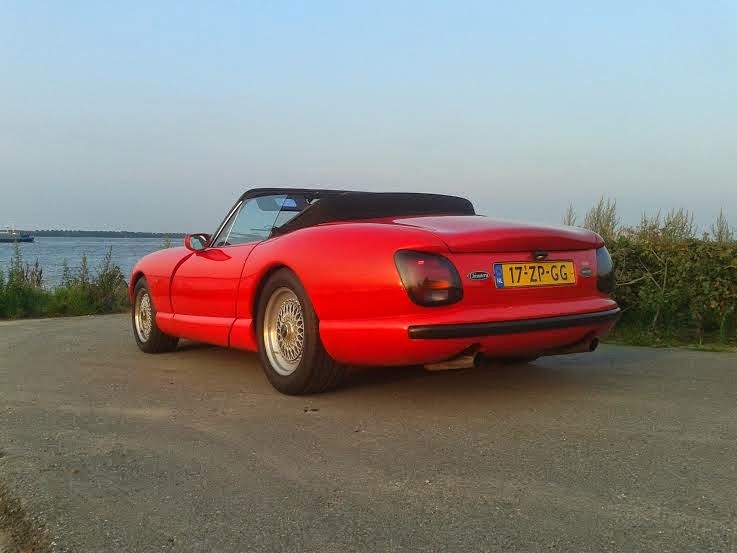 A TVR thus enhanced offers a genuine - and dare we say, far more satisfying - alternative to the current breed of very capable, but ever less involving sports and 'super'cars. 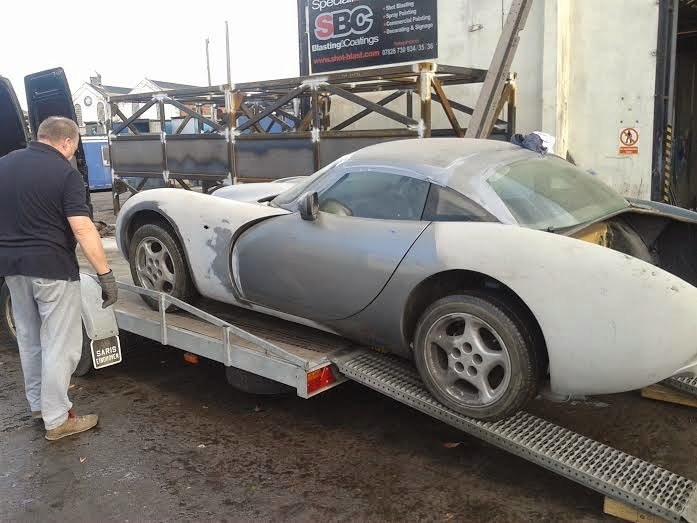 Also it will be practical and reliable as a day-to-day prospect; our own Chimaera as pictured here has been put into service as our daily and only car, covering up to 15,000 kms a year. 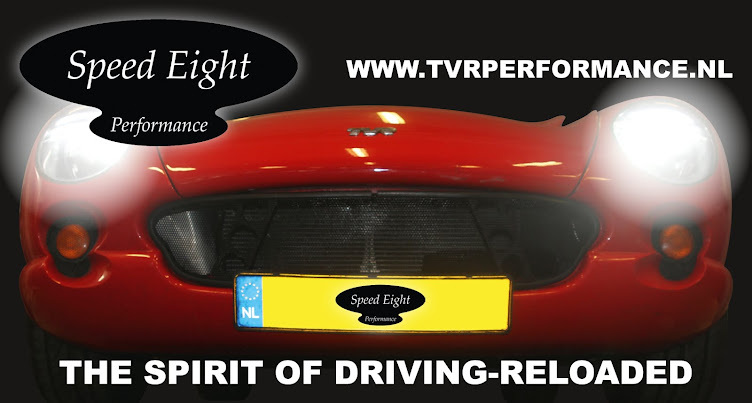 The Speed Eight upgrade package (tailored to your requirements) can either be applied as part of a total rebuild, where things like colours and trim can be specified by the customer and a 'new' Speed Eight TVR will be the result, or to an original car in good overall condition, preserving as much of the original substance as is reasonably possible while bringing the car to a better-than-new standard from a technical perspective which will result in unprecedented levels of driving enjoyment, reliability and safety. Typically the car - which can be a Chimaera, Griffith, Cerbera or Tuscan that you already own, or one sourced by ourselves according to your wishes - will be taken in for an in-depth assessment according to a detailed checklist and any faults will be rectified before installing your choice of Speed Eight Performance engine, cooling, suspension and braking upgrades. Typically a replacement of the chassis outriggers, combined with refurbishment and protection of the main chassis, a partial or full engine rebuild, and careful inspection/improvement of the electrical systems/layout will be part of the process. The most dramatic difference, however, compared to the factory standard car, is made within the suspension and geometry set up. The very advanced Intrax 1K2 Black Titan coilovers with Anti Roll Control made a set up possible that optimises both traction, ride quality and 'forgiveness' near the car's adhesion limit on one side, and high speed stability, overall composure and turn-in response on the other. The substitution of lightweight components like aluminium/titanium coilover units, AGM battery, starter motor, decat pipes (legally possible on this car because of it being a pre-'94 car imported from another EU country - the UK - on a 'local' rather than full EU Type Approval) radiator, carbonfibre intake plenum and deletion of the space saver spare wheel in favour of an air compressor/sealant combo to modern OEM standard - has resulted in a weight loss of about 40 kg with better weight distribution. The brackets for the anti-roll bar droplinks on the rear wishbones have been upgraded and the droplinks themselves replaced with rosejointed ones. As an optimum road-biased tyre, the new Bridgestone Potenza RE-002 Adrenalin has been selected in OE sizes. 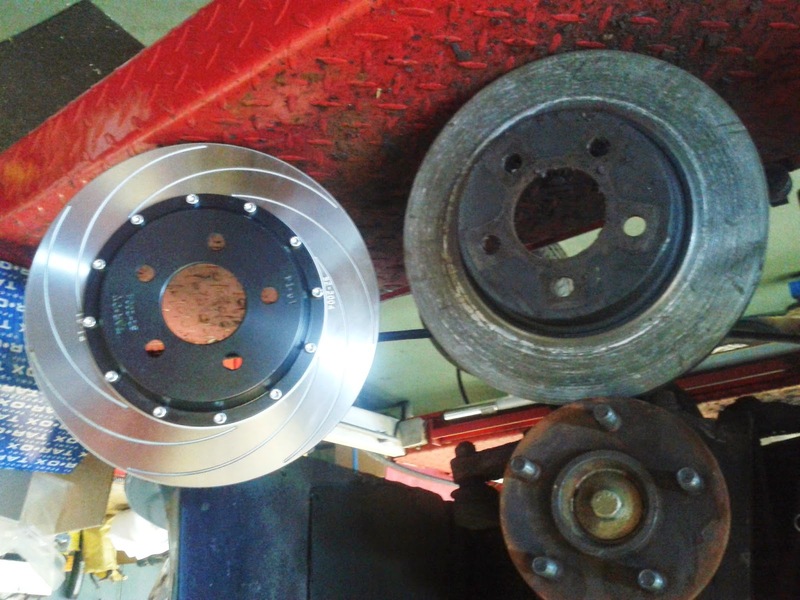 The brakes have been upgraded with Tarox grooved and heat treated discs, and Ferodo high performance pads, resulting in great pedal feel and ample braking capacity for road and 'casual' track day use. For more serious track driving enthusiasts, we would recommend higher specified AP Racing/Tarox braking systems in conjunction with a 'twin hoop' rollover bar behind the seats. Many detail improvements have been made in the course of testing and maintenance to reduce thermal loads on underbonnet components and the car's occupants and generally make things neater and easier to maintain. Lightweight Dynamat Hoodliner has been used to reduce noise from the drivetrain and heat radiation through the centre console area. 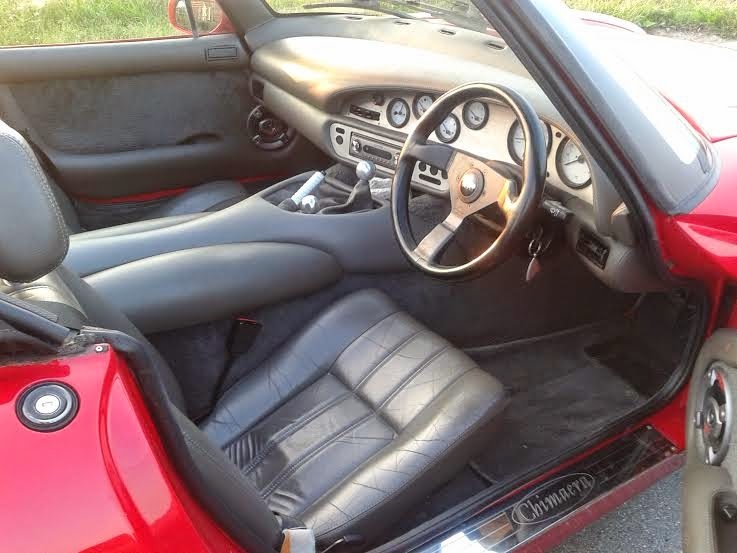 The soft top roof has been renewed to the highest standard. Finally, a front end respray and extensive paint correction, followed by an application of the latest C-Quartz finest ceramic coating (guaranteed for two years) and a thorough interior detail makes sure the Speed Eight Prepared Chimaera looks as great as it drives - while retaining the car's originality and authenticity to the largest possible extent - and keeps looking great with the minimum of maintenance!